Ronald Roberts, 25-year financial services veteran and owner of Roberts Retirement Group, was among the 2017 class of inductees into the InsurMark Hall of Fame. InsurMark, a national insurance and annuities marketing firm, selected Roberts on the basis of his lifelong professional accomplishments, community standing and long-lasting affiliation with the company. 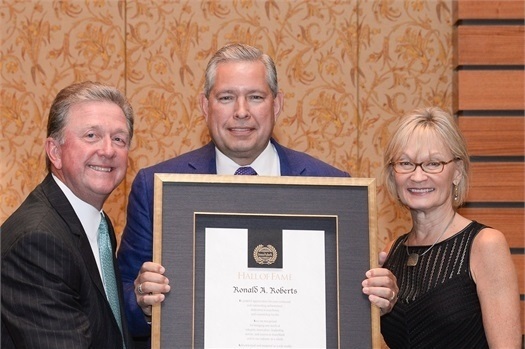 InsurMark, one of the oldest insurance marketing organizations in the nation, has added Roberts to the group of, now 14, Hall of Fame members. The induction ceremony was held in Whistler, British Columbia with fellow businessmen from across the country in attendance. Ronald started Roberts Retirement Group in 1990, and has received many accolades and awards for his financial savvy and expertise. Ron stays current on finance and investment strategies through education and conference attendance. He believes his mission is to help and protect each client’s family legacy -- assisting them in achieving their financial goals and objectives by integrating all aspects of planning: financial, insurance, tax, legal and family strategies. Founded by Steve and Becky Kerns in 1983, InsurMark is a respected insurance marketing orga­nization with independent advi­sors in all 50 states. The company specializes in the distribution of financial products, including fixed indexed annuities and life insur­ance products. In 2002 and 2012,Inc.named InsurMark one of the fastest growing companies in America. The organization has con­tracted more than 20,000 financial advisors since its inception. Long recognized nationwide as an industry leader, InsurMark was one of the founding organizations in 1987 of LifeUSA (known today as Allianz), as well as an original member in the most exclusive and innovative distribution entity in America, The Annexus Group.